If you love fishing, then you know how frustrating it can be to cast your line and wait for hours without getting a single bit. For some fishermen, this is no big deal, but if you planned on catching something, then it can be a waste of time. Thus, you may have heard about getting a sonar system to detect fish in the water. These devices allow you to see beneath the surface, so you aren’t casting blind. This way you can maximize your chances of hauling in a big catch. While there are many sonar devices out there, none of them compare to the Deeper Smart Sonar Pro+. This portable and lightweight unit gives you the best performance possible and enables you to fish more efficiently in all conditions. 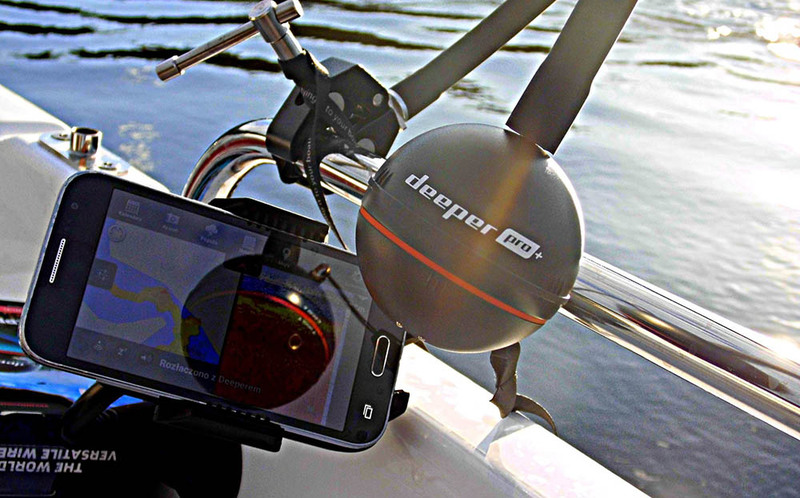 Whether you fish from shore on or a boat, this sonar system will help you get the catch you deserve. For some fish finders, they will only work when they are connected to the monitor. That means that they are only fixed to your boat permanently, or you have to manage a long wire to maintain a signal. Because that method doesn’t work very well, Deeper provides you with wireless access so that you can cast the device out and get a reading no matter where you are. You are not tied to the boat nor do you have to worry about a power cord connecting to your monitor. Best of all, with the Pro+, you get a wireless range of 330 feet, which is better than most other units. Where the Pro+ shines is the fact that you can get an accurate reading from both the shore and from a boat. That means that you can cast it out on your line and drag it back and get the same reading as you would if you were in a boat. Even better, it will show your location on GPS so that you can create and save maps of your favorite fishing spots. For better results, create maps on different days so that you can see how the fish migrate over time. That way you can plan accordingly and get a better haul each time you go out. Do you love deep sea fishing? What about ice fishing? No matter what flavor you prefer, the Deeper Smart Pro Plus can help you. The device will work in all kinds of environments, no matter if you’re a hundred miles out at sea or dropping a line into a frozen lake. The sensors on this device will work in both fresh and saltwater, and temperature does not significantly affect the results. When talking about fish finders, you need a device that can differentiate between individual fish even if there are obstacles or debris in the water. With the Pro+, it uses highly sophisticated sonar technology that displays objects within 0.04 feet of each other, meaning that no matter how small the fish are you can see them with stunning clarity. That also means that you don’t have to try and decipher what you are seeing. The readout will even mark the fish for you and tell you how big they are so you know if it’s worth it to start casting your line. As with any wireless device, you want to make sure that it will last a long time in the field. Fortunately, the Pro+ is designed to stay on for up to five and a half hours, which is way more than the competition. Better yet, it only takes two hours to recharge, meaning that you can get a lot of use out of this finder before you have to do anything. In fact, many fishermen claim that they don’t have to recharge for up to six months or more because the battery lasts so long. Part of what makes the Pro+ so versatile is that the housing is made so well. Thick, waterproof plastic protects the transmitter and internal components so well that you can cast it out almost anywhere without having any problems. As I already mentioned, severe temperature changes don’t affect the output that much, meaning that this fish finder will outlast the competition quickly. Another big problem that most finders have is that they don’t display everything clearly. In fact, some models have such a fuzzy reading that you can barely tell the difference between a fish and a piece of kelp. With the Pro+, you have color modes and options that enable you to get a crystal clear reading. No more will you have to get a magnifying glass to see what is going on under the water. Plus, if you have a large screen Smartphone, the picture will be even clearer. Will the WiFi work everywhere? Or will it be spotty in rural areas? Unlike the wifi that you use to connect to the internet, this item creates its own signal. That means that it will work practically anywhere. The bigger issue is if you get cell phone reception to monitor your results. Can I save maps to use later? Yes, there is a function where you can save all of your maps and settings so that you don’t have to recalibrate every time. Do I need to connect to my Smartphone for it to work? Yes, you need your phone to track the data. Otherwise, you won’t be able to see anything. It doesn’t come with a proprietary monitor. I’m having problems connecting to the device on my phone, what’s the problem? To connect properly, the scanner needs to be in the water or the charger before it syncs to your Smartphone. That may be the issue. How shallow can the water be for this to work? Ideally, it will only work with depths of five feet or more. If you do less than that, it may not provide accurate readings. Can more than one phone connect to this device? No, it will only work with one phone at a time. However, you can log into the same account on multiple phones just in case one dies while you’re out on the water. To get the most out of this product, you want to make sure that you follow all instructions and handle the device with care. With that in mind, here are some tricks to ensure that you don’t have any problems handling the Deeper Pro Plus. Make sure it’s screwed on correctly. There are markings to let you know that it will be watertight. If the markings are off, it may leak and damage the internal components. Before you cast it out completely, you will want to connect to the device first. Place it in the water in front of you and sync; then you can cast it out fully. Use the right connection point for the casting you will be doing. The top is only used for boat fishing, so don’t use it for angling. If you do, then it will drag back at an angle and could lose the connection. If you can, mount your Smartphone so that it will maintain a quality connection. If you put it in your pocket, then you may not sync correctly. Don’t use metal or thick plastic covers for your phone. This can interfere with the sync connection. If you or someone in your group has another wireless device, make sure that Bluetooth is turned off, as the Sonar may try to connect to different devices which can cause issues. Because the device creates its own signal, you don’t need wifi turned on. You can turn it off so you can save your phone’s battery life. If you can’t connect right away, try rebooting the program or your phone. Two metal contacts activate when the device is in the water. If the contacts are covered in dirt or grime, they won’t work. 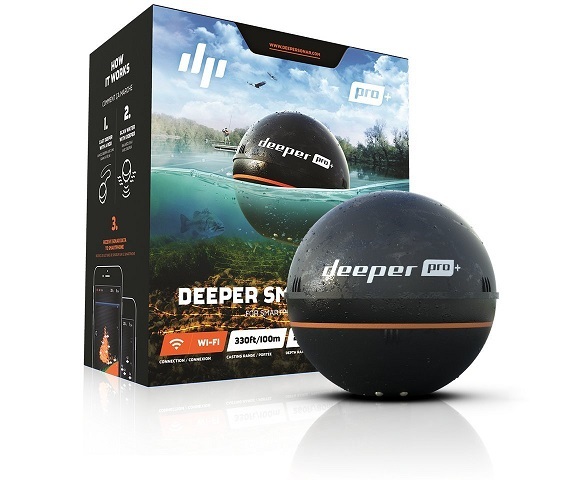 Overall, if you want a fish finder that can help you get the most out of your fishing excursions, then the Deeper Smart Sonar Pro+ is the way to go. This device has everything you need to get the best results possible, from a versatile and lightweight transmitter to crystal clear imaging. Best of all, it produces its own signal, so you don’t have to worry about wifi or cell phone signals while you’re out on the water. 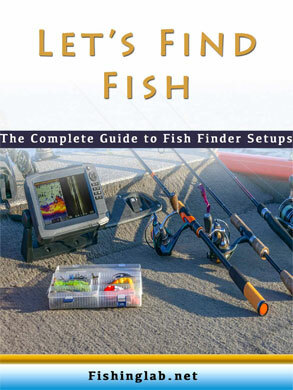 Simply put, if you want the best of the best, then this is the fish finder for you.